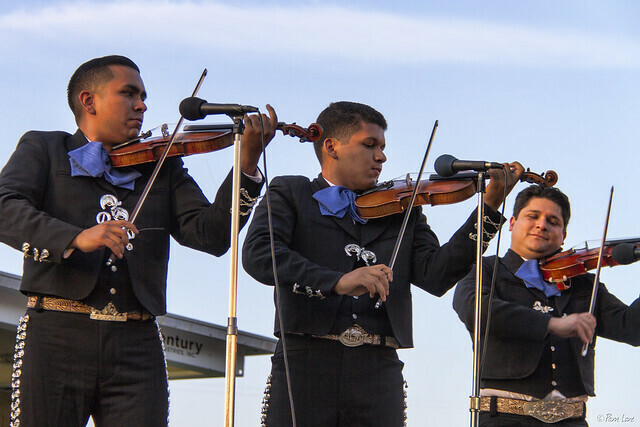 Mariachi Garibaldi de Jaime Cuéllar, a group of nearly a dozen musicians, was founded by Jaime Cuéllar in 1994 as a privately run community youth group with members between the ages of 10 and 15. It is now led by Jaime's son Jimmy Cuéllar. The group was one of two groups who performed at this week's Concert in the Park at Furman Park. 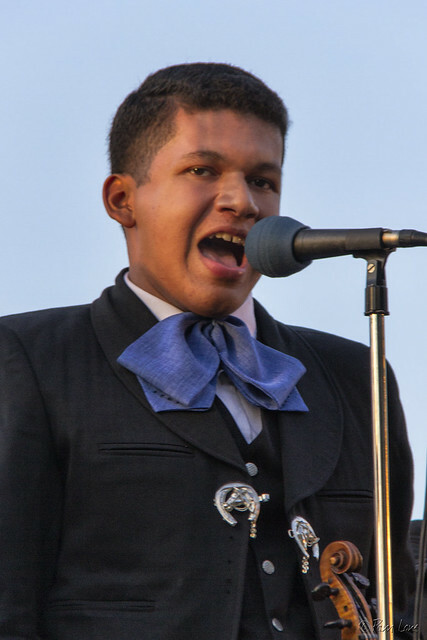 This young man appeared to be one of the younger members. He was an excellent violinist, but what really astounded me was his powerful voice. He and the other members of the group were great entertainment!